Lot 15. 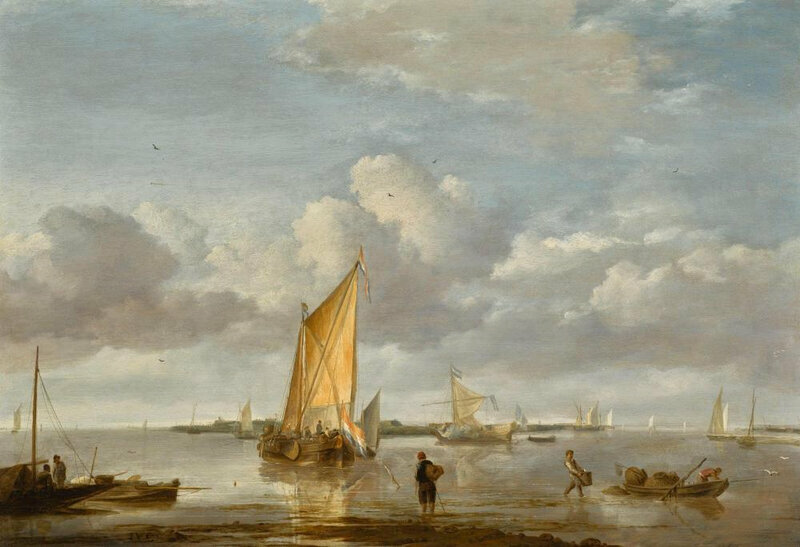 Jan van de Cappelle (1624 - 1679), A calm sea, signed with monogram lower left: IVC, oil on oak panel backed with another panel, 45.5 x 65.5 cm. ; 17 3/4 x 25 3/4 in. Estimate 1,000,000 — 1,500,000 GBP. Lot sold 2,050,000 GBP. © Sotheby's. Acquired at the above by the present owner. Boston, Museum of Fine Arts, 1988–89, on loan. M. Russell, Jan van Cappelle 1624/6–1679, Leigh-on-Sea 1975, p. 89, no. 6, reproduced plate 90. Note: This is a particularly successful evocation of a nearly windless summer day in Dutch inshore waters. Seen from the water’s edge, small vessels rest to the left, while fishermen load creels onto a rowing boat to the right. In the centre a smalschip sails very slowly, close hauled, away from us, while beyond and to the right a states yacht, gaff half-raised, fires a salute. These vessels and others occupy a broad channel between the viewpoint and a low, partly fortified island. The calm sea is motionless apart from slight ripples coming inshore from the smalschip, and the steely blue-grey sea, the colour of the sky, reflects all the boats and figures. The view depicted is likely to be imaginary, but evokes the calm shallow waters of the Zuider-Zee or among the islands of Zeeland. Jan van de Cappelle was well-off or even wealthy all his life, and there is ample evidence that he had no need to paint to earn a living. On the contrary, the inventory of his estate shows us that he had a vast art collection comprising over 200 paintings and about 6,000 drawings, as well as a speeljacht (pleasure yacht). There is no evidence that he ever received any formal training as a painter, and he referred to his art as a liefhebberij (hobby).1 His early works in particular are however clearly influenced by Simon de Vlieger, whom he copied, and it is believed that he may have worked in De Vlieger’s village of Weesp, not far from Amsterdam. 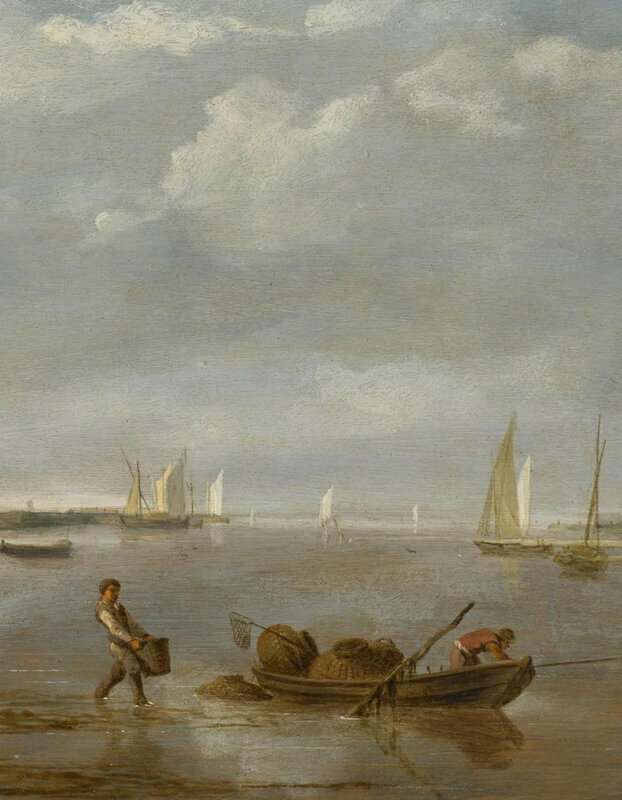 Understanding Van de Cappelle’s chronology is hindered by the remarkable precocity of his early work, so that his earliest dated picture, of 1645, when he was around twenty, is a work of remarkable maturity: complex and beautifully resolved, with a low horizon line and a flawless understanding of the appearance of water and of boats. Furthermore, in later works until after 1660 he revisits themes and compositional types that he had essayed earlier. 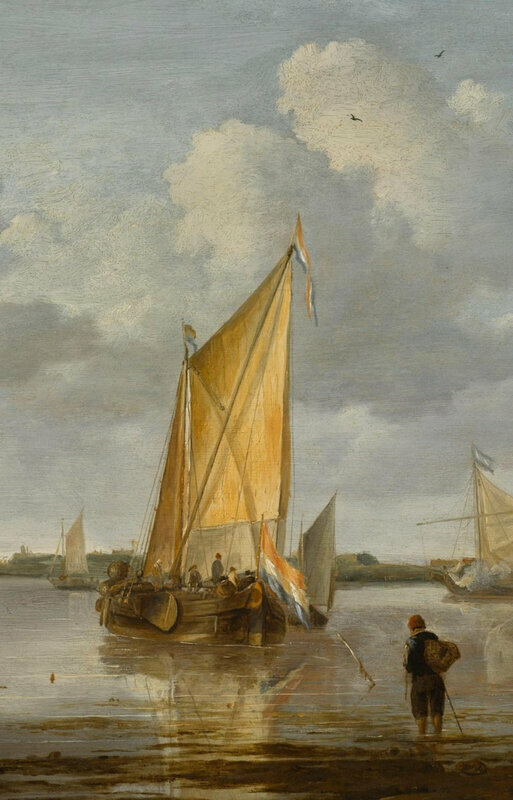 Nonetheless, speaking against a dating of circa 1650 or before for the present picture is a notable change of emphasis towards more simplified uncrowded compositions seen in Van de Cappelle’s works dating from shortly after 1650, with fewer vessels, less busy skyscapes, and a concentration of dated marines from the early and mid-decade with elements of the shore, or at least extreme shallows, in the foreground. The present picture is remarkable in its gentle cloudscape. Many of Van de Cappelle’s skies are full of clouds, so much so that they sometimes seem to be trying to express something, being over-wrought, and are sometimes at odds with the tranquillity of the subject matter. Here, there is no sense of anything untoward in the heavens such as an impending change in the weather: this is a calm in the fourth dimension as well as the first three. As Jan Kelch noted, many authors have suggested that Jan van de Cappelle's special palette was influenced by his study of Rembrandt, adding that Rubens should not be ruled out either.3 It seems more likely however that what marks him out as an exceptionally talented and highly original painter of marines is simply an acute ability to observe and transform what he had seen into paint, and a particular responsiveness to light, colour, tone and mood. NOTE ON PROVENANCE: Joseph Robinson, born to English parents in the Cape Colony in 1840, was a Randlord who first built his fortune on diamond mining, before acquiring mines in the gold fields of Witwatersrand in the Transvaal in the late 1880s, which made him extremely rich. Following his first visit to London in 1889, he announced in December 1893 that he and his family were to settle in Britain. He acquired the lease of Dudley House in Park Lane in London in 1894, but his intention to live there was delayed by the Jameson Raid, and his subsequent involvement in mediating between the mining houses and President Kruger. Following the outbreak of the Boer War he returned to London late in 1899. He had already started to amass a highly distinguished collection of Old Masters and Nineteenth-century pictures of most of the great schools of European painting, from the Quattrocento to the late 1800s to be displayed in the empty picture gallery at Dudley House, and by 1899 the collection was largely complete. While he was advised by Charles Davis and Sir George Donaldson, whom he liked to play off against each other, he had, as Peter Cannon-Brookes observed, a talent for acting incisively on his own judgement without paying over much attention to the opinions of others.4 This had served him well in his business career, and he applied it to his collecting, while no doubt being aware that his South African rival Rodolphe Kann and his brother Maurice had put together comparable collections in Paris from 1880 onwards. 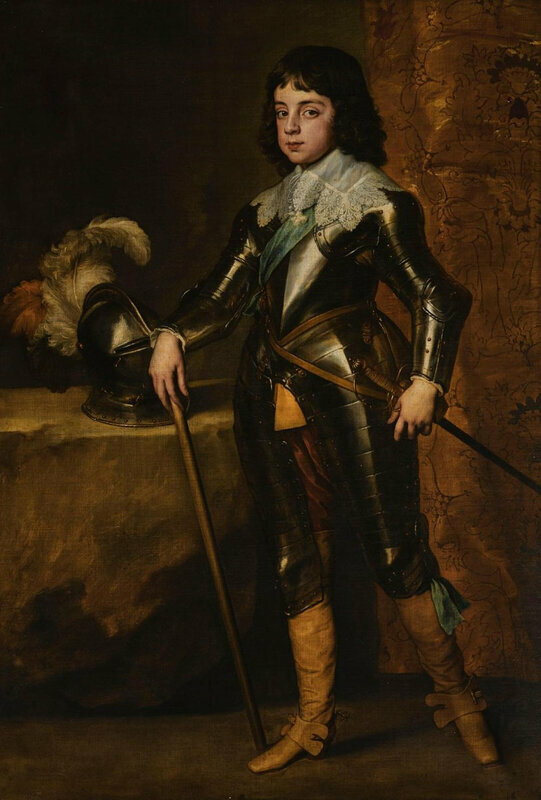 Robinson acquired several Italian and Spanish Old Masters from the Ashburnham collection via Sir George Donaldson, but the core of the collection comprised Dutch and Flemish 17th-century paintings and English 18th-century works, especially those by Gainsborough. Alas, no record survives of the previous history of the present picture, nor when and how Robinson acquired it. In 1910 Robinson gave up Dudley House, and placed his collection in store in a house he had acquired in Bayswater, and in 1913 he returned to South Africa, settling in Hawthornden at Wynberg near Cape Town in 1917. He eventually consigned his collection for sale at Christie’s in 1923. Already in his eighties, and wheelchair-bound, He came to see his pictures the day before the sale, and in the words of Ellis Waterhouse, 'fell in love with the collection he had not seen for so long'. He placed such high reserves on them that only eleven were sold. Having largely achieved his intention to preserve the collection, he placed his pictures back in store, and never saw them again. They did not emerge until 1958, when the first of several exhibitions were held. 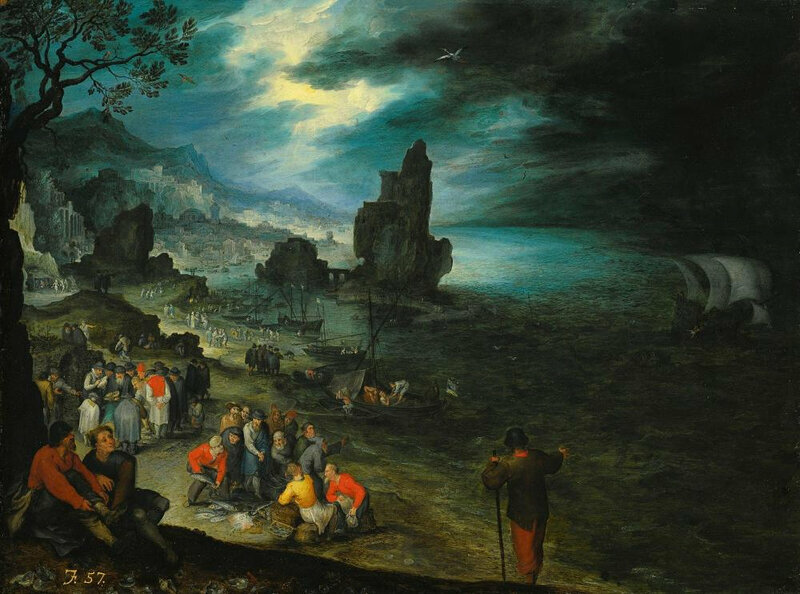 A group of Robinson's pictures, comprising a cross-section of the collection, and including the present picture, was sold at Sotheby’s in 1989. 1 A quatrain inscribed in the Album Amicorum of Jacob Heyblocq by the painter Gerbrand van den Eeckhout in 1654 refers to Van de Cappelle as follows: 'Op de schilderconst van Johannes van de Cappelle, by hem selffs uit eygen lust geleert' ('To the art of Johannes van de Cappelle, learned by himself for his own pleasure'). 2 Russell 1975, p. 24. 3 In J. Giltaij and J. Kelch, Praise of Ships and the Sea, exh. cat., Rotterdam and Berlin 1996, p. 288. 4 See the introduction to the sale catalogue, Sotheby's London, 6 December 1989.